Treasure Coast - Acoustic 5-pc band. Banjo, fiddle, mandolin, guitar, upright bass. Band members all vocalists. Traditional style bluegrass, classic country, Americana, old-time country, ballads, pioneer music, and Bluegrass Gospel. All size events. Reasonably priced, contact for price quote! Performs at corporate affairs, festivals, fairs, pioneer days, community event, parades, wedding, church events, funeral/memorial services, galas, country clubs, restaurants, fundraiser, private meetings, parties, grand opening, lounge/bar, breweries/wineries, reunions. Shows are catered to the event and crowd. Dependable and family-friendly, their music is enjoyed by all! Book early to save your date! For traditional acoustic bluegrass music, this band does not disappoint. Five seasoned instrumentalists that blend together perfectly. Even the vocals are good. I grew up listening to bluegrass and love hearing those traditional tunes that have lasted through the years. They throw in some newer songs, too! Thank you Barbara Johnson for taking the time to leave your kind words about Blue Cypress Bluegrass! We consider our fans as our "bluegrass family", and happy you are a part of it! We sure do love and appreciate your continuing support of our band! 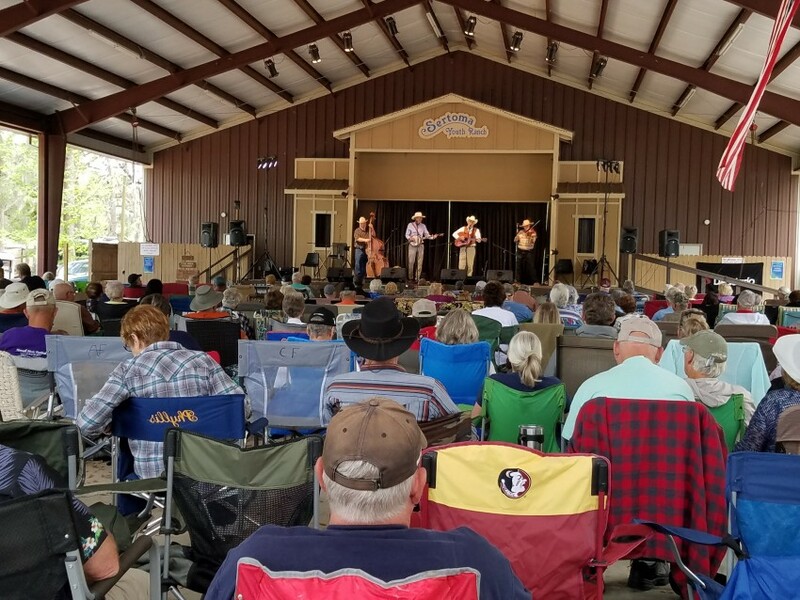 At a Blue Cypress Bluegrass show, you can expect a variety of music ranging from high energy traditional bluegrass tunes to belt buckle polishing classic country songs and lots in between! At most of their shows, you can feel free to "git up and git yer dance on!" Enjoy the music with buck dancing, clogging, 2-Step, or grab yer partner for a slow dance!" Band welcomes request and will happily play your song if they know it! As long as it's not modern or current music, there's a good chance they can! What's your favorite old-time song? Give us a shout out at your event! Also, the band can provide their own PA system and all necessary equipment for their show if needed. Blue Cypress Bluegrass is a 5 piece acoustic band of all vocalists, bringing banjo, fiddle, mandolin, guitar, and upright bass. Offering traditional style bluegrass, classic country, Americana, ballads, pioneer music, Bluegrass Gospel, and more for any size event at a reasonable fee! Please contact for price quote. Band performs for corporate affairs, community events, parades, weddings, festivals, church events, pioneer days, Florida Cracker events, galas, country clubs, restaurants, fundraisers, private meetings, fairs, all type parties, grand openings, lounge/bars, breweries/wineries, and more. The show is catered to the type of event and crowd. Dependable and family-friendly, their music is enjoyed by all ages! 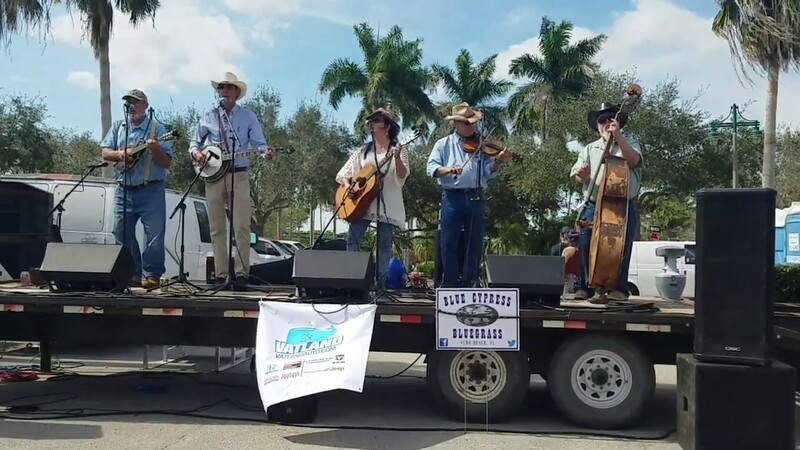 Blue Cypress Bluegrass has three of the "original" musicians who introduced live bluegrass to the entire Treasure Coast! You can hear them playing the background bluegrass music in the movie (documentary) "Florida Crackers: Cattlemen and Cowboys Of Florida". We are proud of our unique music and enjoying sharing it with others. 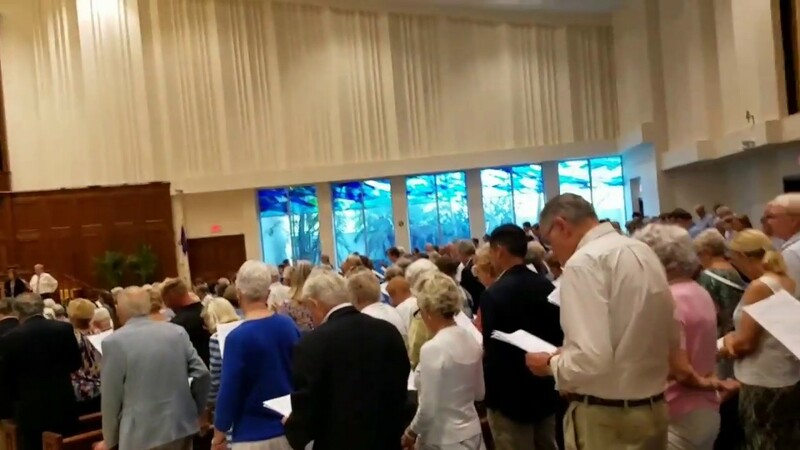 Our band members are residents of Vero Beach and Melbourne, FL. We play mostly (but not exclusively) on the Treasure Coast, Space Coast, and Central Florida. We can provide our own PA system and necessary equipment for our shows. If necessary, referrals may be provided upon request in order to complete your booking. To secure this band for your event date, book as early as you possibly can! We need an area designated for the band to set up, with lighting for evening gigs. 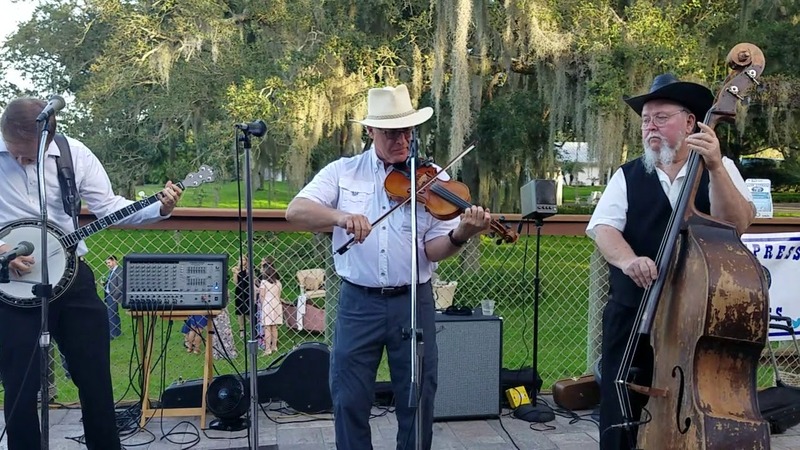 March 08, 2019 • 6:30pm - 8:30pm FRIDAY Bluegrass at Marsh Landing - Fellsmere, FL. Here's just a FEW of the songs we play! .... and many more great songs! These band members have been greatly influenced by bluegrass legends such as Bill Monroe (The King of Bluegrass), Flatt and Scruggs, Doc Watson, The Dillards, Jimmy Martin, Earl Scruggs, Lester Flatt, and many more! Country music stars such as Merle Haggard, Johnny Cash, George Jones, Charley Pride, John Prine, and Willie Nelson have been a big inspiration to play and share their classic country music and save these wonderful songs for years to come! There are too many to name them all who have been an inspiration, but give thanks and credit to each and every one of them for sharing their music with the world to carry it on for future generations. 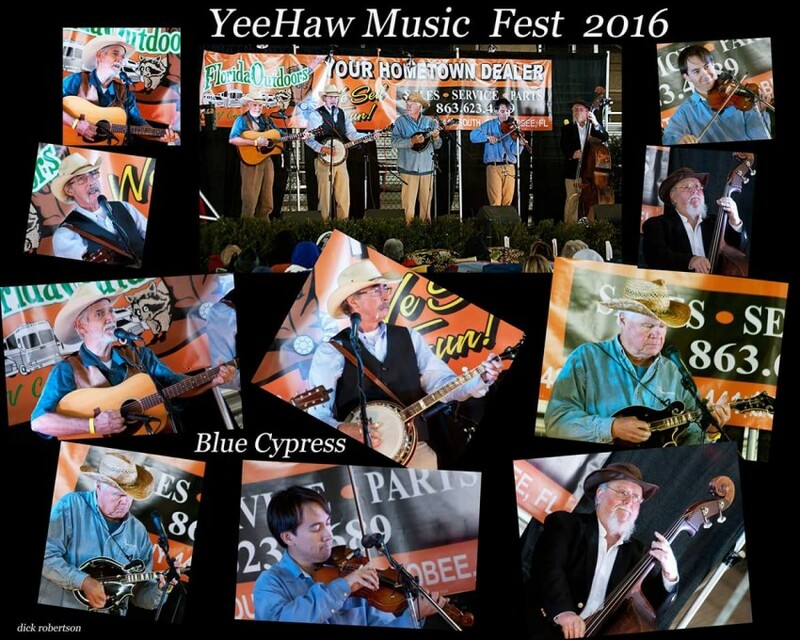 Blue Cypress Bluegrass is doing their part to keep this old-time music alive! We require an area to set up and one electrical outlet. We have our own PA/sound equipment and our own necessary cords and microphones.